The Town of Strathmore currently has over 20 kilometres of multi-use pathway that provide opportunity for healthy outdoor recreation, along with an environmentally friendly transportation network. However, many of these pathways are unknown to community members, and many have questions about where to go next once they have reached the end of a path. 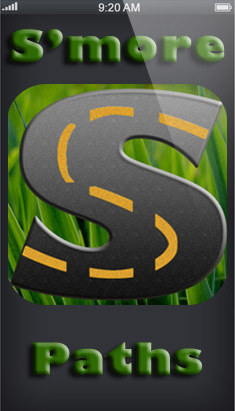 Download this iPhone application, S’more Paths, which will make your outdoor activities more fun and interactive. The map is composed of all existing paths in Strathmore as well as those linking the town with Eagle Lake. Locations of the paths, their surface type – being pavement or gravel – as well as approximate travel distance are included on the map. 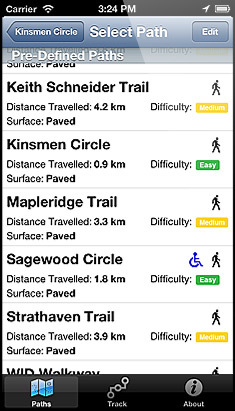 Users can track their times on the routes, and can see personal progress as they use the app. Premade routes are automatically downloaded to inspire immediate outdoor activity, and users can save their own paths as they use S’more Paths. 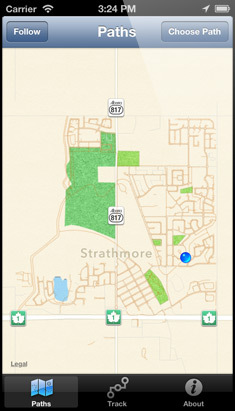 Track your runs, walks, and bike rides on Strathmore pathways. Choose from predefined paths or create your own! Monitor your pace and distance travelled through the app; set goals and watch as your fitness level grows! Share your results with friends and family through Facebook and Twitter! Why does S'more Paths drain my battery/continue to track my location? 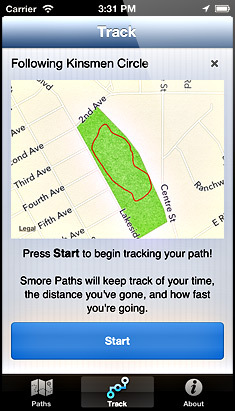 As S'more Paths uses the GPS in your phone, you need to ensure that the app is properly closed when you have finished using it. Instructions for iOS 6 users: Double-click your home button to bring up the tray of running apps. Hold your finger on the app you wish to close until the apps "wiggle" at which point you can click the red X to close the app. Instructions for iOS 7 users: Double-click your home button to bring up your running apps. Swipe the app you wish to close upwards and it will disappear from the screen, which closes the app. Why is my location not appearing on the map? Ensure that you are in an area that has GPS signal. 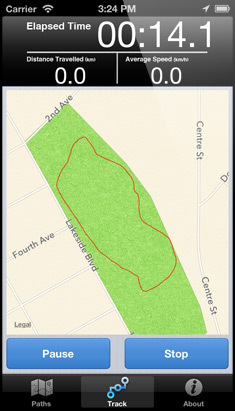 The app may not work indoors or directly next to buildings due to GPS limitations. Ensure that you have allowed the GPS functions in your location services. Will S'more Paths work on my iPad? iPod Touch? As the app uses GPS and data, the app will not actively track your location on an iPad or iPod Touch. 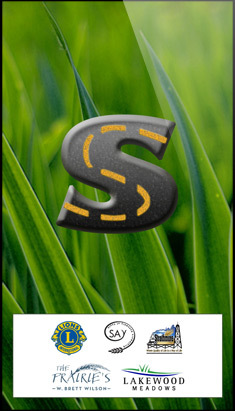 You will be able to view the maps and routes suggested; however, no tracking features will work.